Bob’s Knob Standard is not the best rock-climbing route on Chapel Pond Slab, but for the novice it’s a superb introduction to multi-pitch climbing. 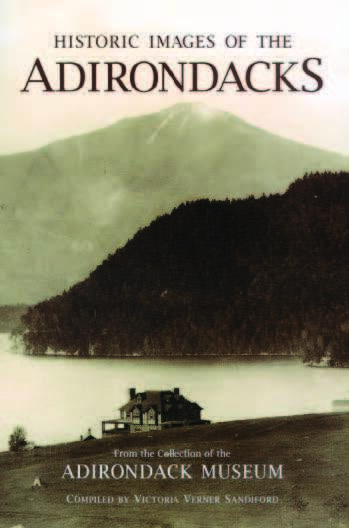 As one of the oldest routes in the Adirondacks, it also lays claim to some interesting history. I climbed Bob’s Knob Standard last weekend with my girlfriend Carol. We had done it twice last year, but because she is new to climbing, she wanted to do it again for practice. Once again, she loved it. 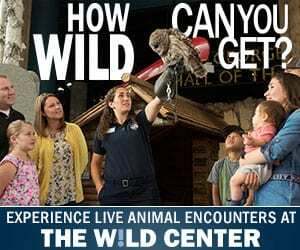 Though considered easy, it posed a few challenges and always kept our interest. The scenery as we climbed got better and better. We finished on Bob’s Knob, a huge protuberance on top of the slab, where we enjoyed views of Chapel Pond, the cliffs on nearby Giant Mountain, and rows of peaks receding into the distance (Whiteface was visible to the northeast). The route was established in 1933 by John Case and his climbing partner, Bob Notman, for whom Bob’s Knob is named. 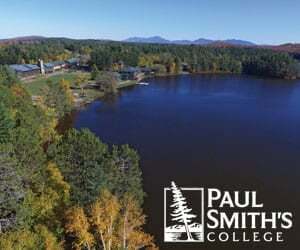 Case, who often summered in the Adirondacks, was one of the first to bring European climbing techniques to America. He served as president of the American Alpine Club from 1944 to 1946. One indication of his prominence in the climbing community is that his obituary in the American Alpine Journal was written by Charles Houston, a celebrated mountaineer who co-authored The Savage Mountain, an account of Houston’s attempt to scale K2 in 1953. Case was born in Rochester in 1892, but he spent much of his youth in England and Europe. He climbed in the Alps with George Finch, a famous British climber who made an early attempt on Mount Everest in 1922. Case adopted the British style of climbing. That’s to say, he was conservative, adhering to the maxim that “the leader must not fall.” And he never used pitons to protect against falls. 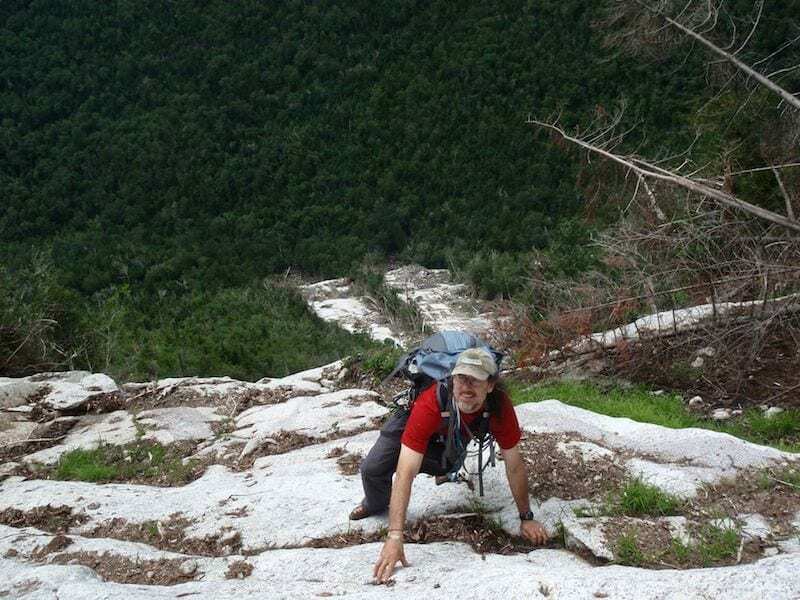 “John Case didn’t know anything about pitons,” the late Jim Goodwin, who climbed with Case in the Adirondacks, once told me. “The British thought it was cheating to use pitons or anything like that,” Goodwin said. Perhaps it’s not surprising, then, that Bob’s Knob Standard is the easiest of the six main routes on Chapel Pond Slab. The guidebook Adirondack Rock rates it 5.3 on the Yosemite Decimal System scale of difficulty, which runs from 5.0 (very easy) to 5.15 (nearly impossible). Bear in mind, though, that Case climbed in the age of hobnailed boots and hemp ropes. Carol and I followed Regular Route for two easy pitches. She hesitated at only one spot, where she had to pull over a bulging wall. We continued up Regular Route for half a pitch, then cut right toward some woods on the right side of the slab. We walked through the woods and across open ledges to a prow of rock jutting out from the base of Bob’s Knob. The hardest part of the climb was about to begin, with three challenging moves in the next thirty feet or so: first, climbing the prow to a wide platform; second, surmounting a short wall to the base of a chimney; and third, scrambling up into the chimney. From the top of the chimney, we ascended easy slabs to the summit of Bob’s Knob. Usually, Bob’s Knob Standard is done in six or seven roped pitches. I divided the climb into eight pitches so I could coach Carol through the harder parts. We descended via an unmarked trail on the north side of Bob’s Knob. In two steep places, the trail has a knotted fixed rope for down-climbing. Though not difficult, Bob’s Knob Standard is a fun route even for better climbers. 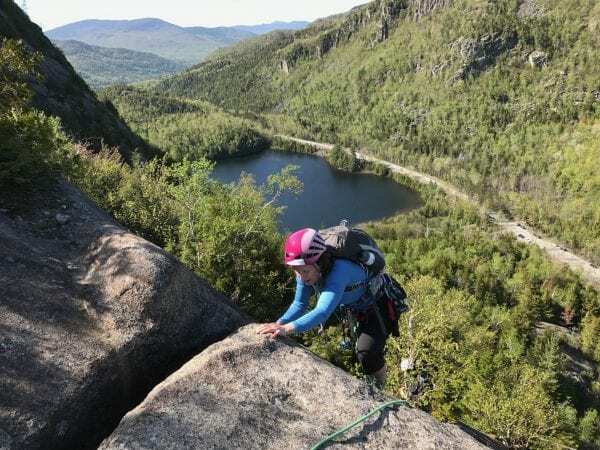 Adirondack Rock gives it three stars out of five for the overall climbing experience. It’s also a good alternative if Regular Route is crowded, as it often is on weekends. 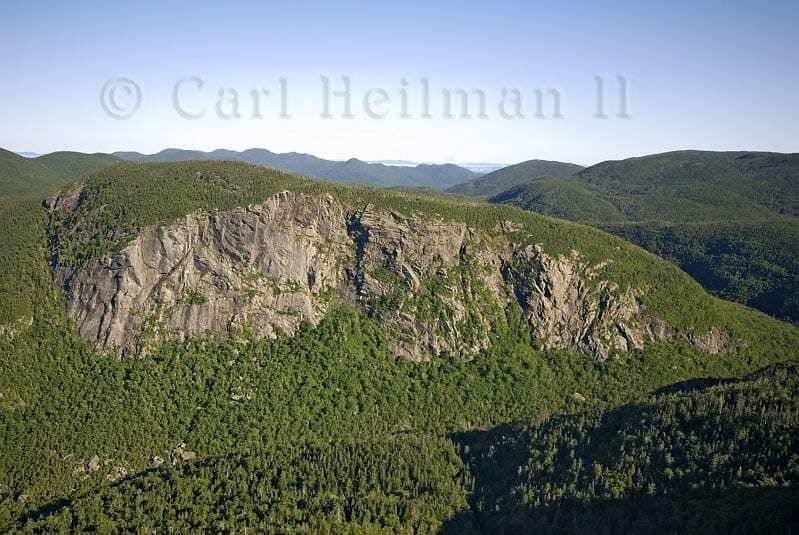 In 1933, John Case also established a route on Wallface, the biggest cliff in the Adirondacks. 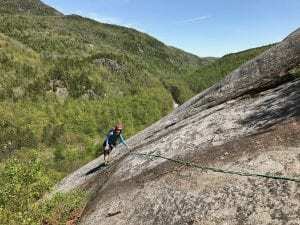 It had been assumed this was the first ascent on Wallface, but the authors of Adirondack Rock unearthed evidence of an earlier climb in 1920. Case also climbed on Indian Head overlooking Lower Ausable Lake, but these routes are not open to the public.